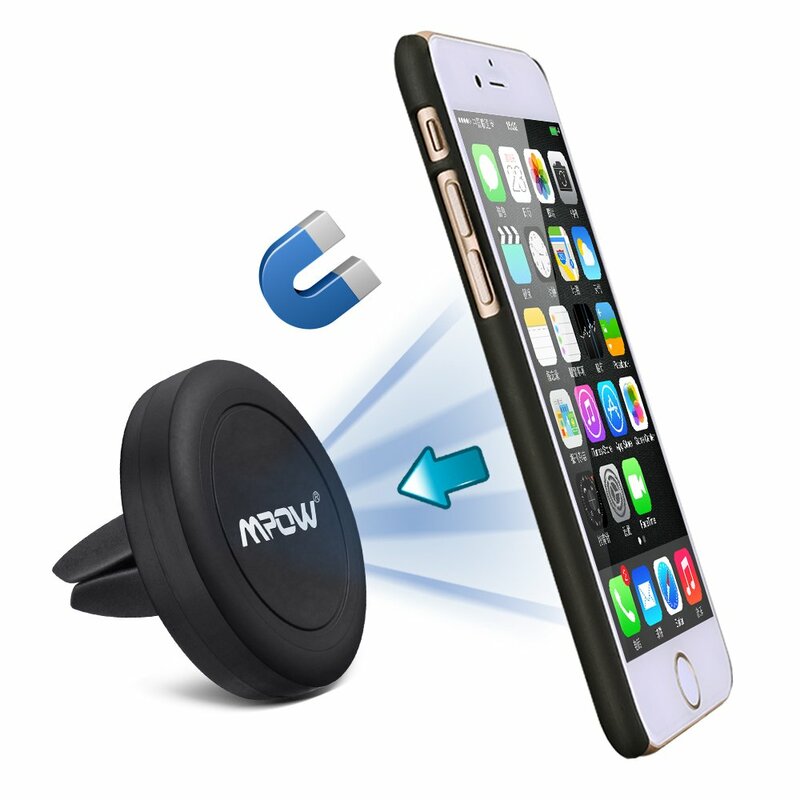 This is the air vent magnetic car mount from Mpow. It is very small compare to my other car mount. It is not adjustable, so the viewing angle is fixed. Not a good thing when you need to see the navigation and the screen is completely darken because of the sun light. It comes with two metal plates, one rectangular and one circle. The circle one has the self adhesive tape on the back. The instruction is pretty straight forward. The rectangular one put inside of your phone case, and the circle one stick it on the back o your phone. The magnet is indeed very strong. But the grip is not working very well with the air vent. As you can see in my video, it doesn’t stay in one place securely, and it frequently moves side way and easily taken out by hand. I try to find some way that can tighten the grip and there seem no way to do so. The car mount doesn’t work well on my car (08′ civic), may be it would in other vehicle? The lack of adjustable viewing angle is really a deal breaker, and I don’t see this car mount be useful at all.